Whenever they show movie stars inside of their dressing rooms during a film, they always have lights around the mirror. Chances are, your actual bathroom/bedroom mirror does not have such glamorous lighting. 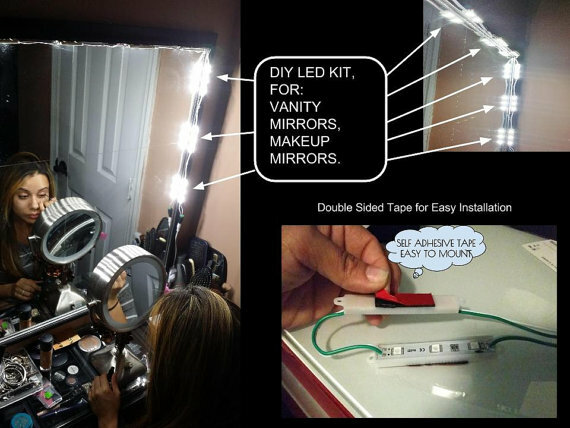 Now you can get it with the Vanity LED Mirror Kit, the DIY option that turns your normal mirror into a a vision of fame. This is a simple kit that consists of LEDs, a connector, power supply and adhesives. You’ll have to do the leg work in applying these to your mirror yourself but the application isn’t hard. The adhesive will stick to just about anything, as long as it’s clean. Besides looking really cool when you’re getting ready to go, this light will help you see what your makeup really looks like or get you ready to party with some star struck mood lighting. The kit fits a variety of mirror sizes and if you want to take your glam game to the next level, you can order an optional dimmer switch. The Vanity LED Mirror Kit is $9.